Mobile devices have made the world shrink. The years of accelerated tech improvements, Internet growth and cloud development have made these tiny devices as powerful as any desktop computer, thus making the world forever available from your palm. Considering the astonishing possibilities of today’s smartphones and tablets, it’s no wonder the world has gone crazy about them. This is especially true for businesses, where employee mobility is increasingly seen as the path to success. Employees seem to have overcome the constraints of brick-and-mortar offices, now feeling more productive than ever. Employers, on the other hand, enjoy the multiple benefits of introducing mobile policies, which obviously translate in great savings and increased efficiency. Similar to other developed countries, Australia has recognised the value of mobility in small businesses sector. Forrester Research’s Forrsights Global Workforce Benchmark Survey Q4 2013 reported that over half of the Australian and New Zealand workers state they can’t do their job without a mobile device. Most commonly quoted benefits among workers are increased productivity and facilitation of everyday tasks. Therefore, Australia is among the countries where the greatest driver to increased adoption of mobile devices comes from company staff, as opposed to external, commercial and competitive forces. Citrix Mobility Survey confirmed that UK and Australia are seeing internal pressure for adoption, while France and Germany belong to the latter group. Capex savings. With mobile devices on the rise, it seems it has never been easier for small businesses to develop collaborative environment at low cost. Considering the fact that most employees nowadays own a mobile device, companies don’t need to invest as much into hardware equipment. Therefore, potential cost-savings may be huge, especially for new or developing businesses. Productivity boost. The immediate availability of a variety of business productivity apps from mobile devices has facilitated a great number of business activities. Not only that these apps are cheap and easy to use, they actually make people feel more productive. In addition, mobile devices allow greater liberty, which means particular tasks can be done anytime, anywhere, which further contributes to employees’ productivity increase. Enhanced employee satisfaction. Besides productivity boost, the increased demand for mobile device implementation at workplace has other advantages for employees. Different surveys reported that employees feel more comfortable when they are allowed to use their own devices at the workplace, which justifies the rise of BYOD trend. On the other hand, this also has some benefits for employees, who reported that the staff tends to take care of their own devices more than of the company provided ones. Distance communication and increased collaboration. As the world of the web grows richer, even small businesses can now hire international workers, who no longer need to be present in the office in order to have their job done. Mobile applications work well across regions, even if collaborators don’t share the same time zone. Communication potential, especially coupled with a variety of online file sharing and collaboration apps, enables businesses to develop rapidly. Information access. Staying up-to-date with the latest industry news and developments is crucial for every business and mobile devices practically bring the necessary information to your hands wherever you are. This is especially important in terms of customer relationship management, for example, since mobility allows customer care representatives to keep in touch with prospects and consumers anytime. As described, the benefits of mobility integration are indeed various, which is exactly what drives their mass adoption. 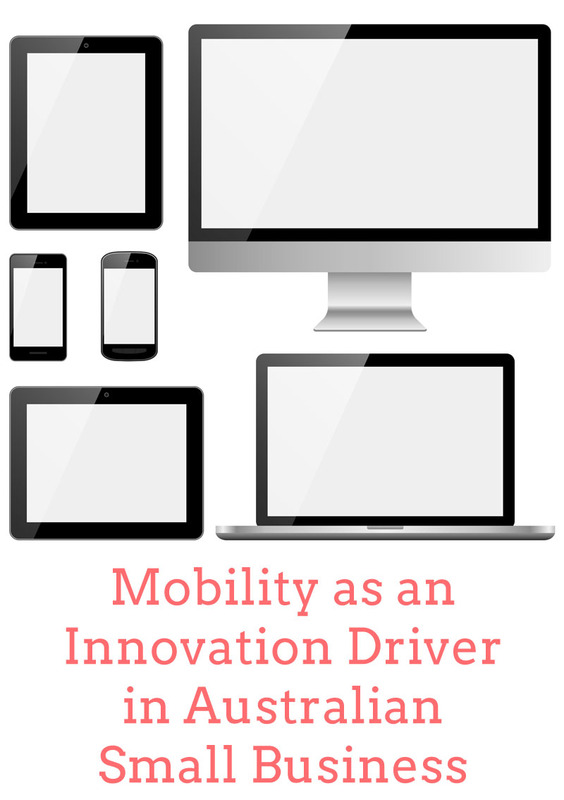 However, similar to other rising tech trends, increased mobility has it’s dark side as well. Once again, the major impediment to a broader mobile device integration is data security, which is a growing concern for CIOs. While it seems easier to do everyday tasks via a constantly opened network of mobile employees, securing the information flow may be immensely difficult. With half of the employees bringing their own devices, and the other half taking corporate mobile phones and tablets outside the company walls, it’s exceptionally difficult to track what goes where. The Citrix Mobility Report outlined that concerns related to allowing remote access to corporate network is seen as a risk by 27% or respondents, while 29% expressed their concerns about allowing application and documents download. General vulnerability of mobile devices. As opposed to their earlier workplace counterparts, i.e. desktop computers, mobile devices are more likely to get broken or stolen, which is reasonably worrying in the corporate scenario. Jack Gold, an enterprise security expert predicted that organisations will lose three to four times as many smartphones and notebooks each year, which may cost more than $100,000 in small businesses. Encryption standards. Encryption is the key for data safety on the web and companies need to make sure that their employees are accessing business information safely. This means that the devices need to be configured with corresponding passcodes and encryption in order to ensure maximum security. Access authorisation. One of the crucial requirements for securing data access and transfer is to design the exact data access scenario that only authorised persons would be able to carry out. This minimises the possibilities of data breach in case employee’s device gets lost. The mobility potential clearly dominates modern small businesses, enabling them to move forward at a rapid pace. As confirmed by the surveys cited above, integration of smartphones and tablets into common business activities brings a variety of benefits for both employees and organisations, which is what accounts for the growth of this trend. Despite potential security concerns, mobile device integration is still one of the leading corporate trends in most developed countries, including Australia, where small businesses seem to be very savvy when it comes to the latest technology trends.